Born in Yerevan, Armenia, Artak Asatryan has been playing duduk since age six. At nine years old, he played in the Armenian State Children Philharmonic Folk Instruments Orchestra as a first duduk player and soloist. 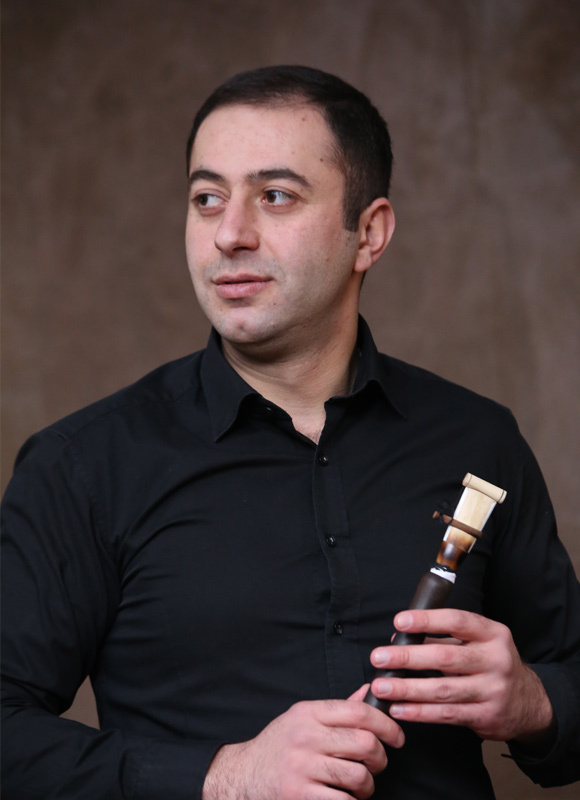 Asatryan is the recipient of multiple awards from competitions and festivals, including the Golden Ferry International Music Festival and Djivan Gasparyan’s Duduk Festival. In 2011, Asatryan graduated from the Komitas State Conservatory of Yerevan. He has grown under the instruction of master player Georgy Minasyan since 2000, while also working in Minasyan’s own Duduckner Ensemble. Since 2006, Asatryan has been an integral part of the Armenian Medieval Ensemble “Oshakan” and “Oshakan Quintet,” cooperating with composer and artistic director of the group, Grigor Arakelyan. Asatryan founded the Tsirani Ensemble in 2012, and has been a soloist and the artistic director of the group since that time. The ensemble’s first CD was released in 2016, and the group’s international success has included concerts in the United States. Artak Asatryan currently works in the Armenian Tagharan Ensemble of Ancient Music and teaches at the R. Melikyan Music College and the Arno Babadjanyan Musical-Pedagogical College.